WASHINGTON — As a class-action lawsuit moves forward against Virginia Express Lanes operator Transurban, a top Virginia official is committed to making sure that E-ZPass users on Interstate 66 will not have to pay administrative fees and penalties into the thousands for unpaid tolls due to innocent errors. 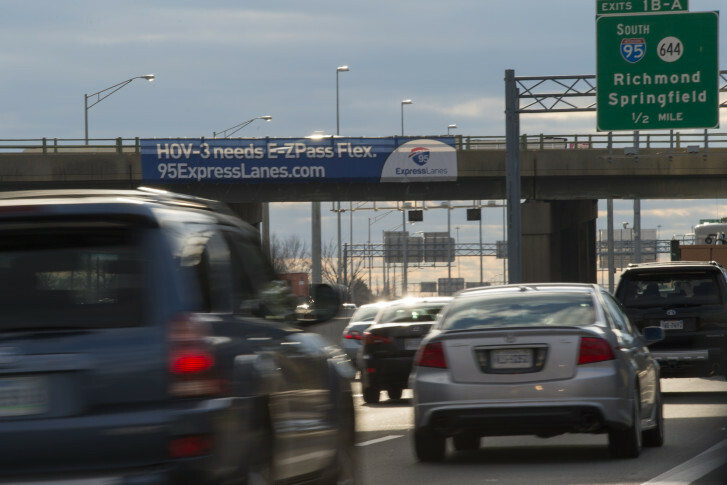 The lawsuit claims that the fees and penalties levied against drivers not paying the toll on the 495 and 95 Express Lanes violates the ban on excessive fines found in the Eighth Amendment of the U.S. Constitution. Lead attorney James Pizzirusso of Hausfeld LLP argues that the fees and penalties constitute an “excessive and unreasonable” fine when the figures escalate into the thousands. Pizzirusso suggests even the $12.50 administrative fee per trip after five days is also too much. When a regular commuter has an E-ZPass balance in the negative, it can often take up to five business days to alert the individual about the problem, which can result in up to 10 unpaid toll trips and a first bill of nearly $150. Transurban counters that it is following Virginia law on the matter and is more lenient than the statute. As the Virginia Department of Transportation aims to begin tolling I-66 inside the Beltway during rush hours, Pizzirusso wants to make sure that lessons are learned. “I think the Virginia Department of Transportation needs to a close look at what has happened here with Transurban. It should do everything it can to prevent from any operator of toll lanes from abusing the process or hurting consumers and drivers,” says Pizzirusso. While Transurban operates and collects the tolls on the 495 and 95 Express Lanes, VDOT will operate and collect the tolls on I-66 inside the Beltway in 2017. “The benefit of the doubt should be given to the consumer with the option to pay the original toll. If they pay, then I think it’s good policy not to go after these fees,” says Virginia Transportation Secretary Aubrey Layne. Layne would not discuss Transurban or the class-action suit, restricting his comments to what he would like to see happen when VDOT tolls on I-66. “If there is a reasonable opportunity given and the person wants to pay the toll and corrects the oversight, then I think you want to provide good customer service so that the person wants to use the facility again,” adds Layne. E-ZPass users such as Toni Cooley and Lisa Marie Comras are two examples of people who were willing to pay the original toll, but were taken to court when they objected to paying the administrative fees and penalties. Transurban has since instituted a First-Time Forgiveness Program, which lets customers get the fees waived if they agree to pay the original toll and rectify the problem with E-ZPass. Transurban also caps the amount it pursues in court against first-time offenders to $2,200 plus court costs. Transurban says 24,000 drivers have used the program in the past year. “The problem with the program is that while it’s a good idea, it’s also voluntary. Transurban can stop offering forgiveness to first-time offenders at any time without any consequence,” says Pizzirusso. Layne would not commit to a formal policy in writing similar to Transurban’s, but he agreed there should be common sense in the process. He says it is easy enough to distinguish between those owning an E-ZPass with a track record of successful toll payments and those without an E-ZPass or any history of paying tolls. Layne adds that toll scofflaws deserve to be held accountable for cheating the system, but those who made an innocent mistake should not be treated in the same manner.